I bake a lot of bread. Mostly because it makes me feel powerful, like a regular Rumpelstiltskin. Well, that, and I like to eat fresh bread. Like the overwhelming majority of people I know, making me wildly popular (haha). I also write poems. Sometimes, not often anymore. As far as volume is concerned, the loaves of bread trounce the poems. I’d venture to guess it has something to do with poems not making me feel very powerful at all. Rather, they mostly serve to remind me of how firmly situated I am within a headspace that isn’t conducive to poetics of any sort at all. But I keep writing them, so I probably get something out of it. That would make sense. Right, so I wrote this poem ostensibly about surviving in the wilderness. But really it’s for a call girl I knew when I was living in New Orleans. A song made me think of her. She was perfectly normal, save the whole occupation. You wouldn’t have known unless she told you. It’s a you’re okay, I’m okay, we’re all okay sort of poem. Prose poem. Anyhow, here’s a loaf of honey buttermilk bread to go with it as bread and poems and all the slow things make sense together. It’s soft and sweet with flakes of salt on top, and I imagine it would make nice sandwiches. I don’t know. The last loaf I made lasted approximately 0.54888888 hours and was devoured with hands and some haphazard pats of butter by myself and three accomplices standing ’round the kitchen island. So, good luck with making it last longer than we did. Whether you bake it or don’t, buy a loaf from the bakery or the bi-lo, or whether you say to hell with it all and grab some chips from the gas station, this post is about being proud of yourself no matter where, in this moment, you find yourself. We’re all works in progress, growing trees that can only be where we are when we’re there, and all that other good stuff therapists say. Trust the process. That said, as far as survival is concerned, eating bread is superlative to having to cut off your own arm, hustle, or beg. There are lots of ways to survive in the wilderness. You can forage—collect stinging nettles, bitter dandelion & sorrel; eat the soft, juicy bodies of freshly molted cicadas; kill a lilac rabbit, eyeshine copper young in fur. Sometimes, to survive, you drink your own piss, or amputate a limb slowly, knowing your tendons. Or play dead. You have beautiful eyebrows, so thick and black, he’d said. You can be proud of that. Surviving, they make whole television shows about it. Be warm in fur, and eat good meat. Wear Two-Rabbit’s paw round your neck, and sleep, tropical, sleep. Today is the last day you can vote for the Saveur blog awards….if you’d like to vote for me in the photography category you can here or by clicking the icon in the side bar! I’d appreciate it! You have to create a username to vote, but it only takes a sec—promise! Speaking of I’m okay, you’re okay, this piece on “The ‘Truth’ about Entrepreneurship and Mental Illness” for Esme’s series “Off We Go” by Nicole Antoinette is a must read. I’ll also be contributing to this series; I’ll keep you posted. This is comfort bread. A fine, light everyday bread. It needs about 3 hours of inactive time, but it's nothing you can't start in the morning (mixing it up takes all of 15 minutes) and have fresh bread by lunch or dinner. This bread can be made in a stand mixer with a dough hook; I've chosen to make it by hand. It's easy, the bread is great, and I'd rather not have to pull out the mixer if I don't have ti. Besides, kneading bread is cheaper than therapy and sometimes as effective. 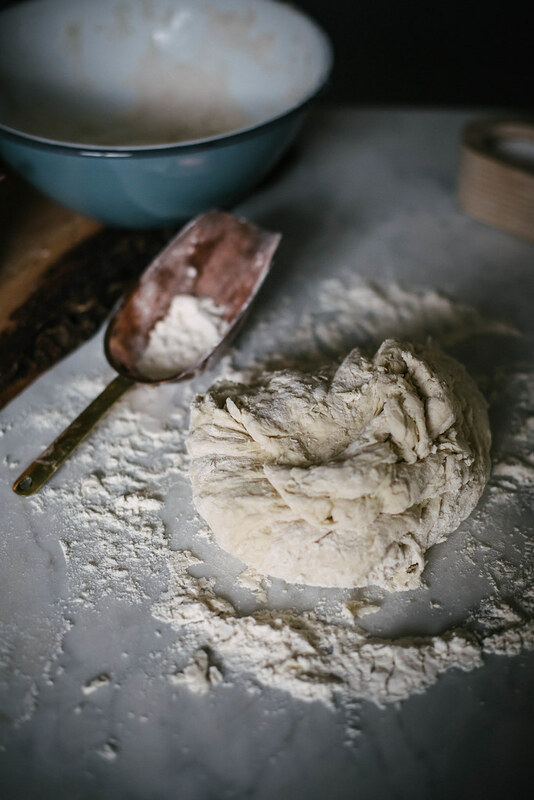 If using a mixer, just combine the wet and dry ingredients in the bowl of the mixer and knead with the hook for about 5 minutes instead of by hand. In a large mixing bowl whisk together 500 grams (4 cups) of the flour and the salt. In a medium saucepan melt the butter over low heat. Add the buttermilk and warm gently, stirring. Don't let it get too hot or it will separate. It just need to be warm. Remove from heat and stir in the honey as well as the yeast mixture. 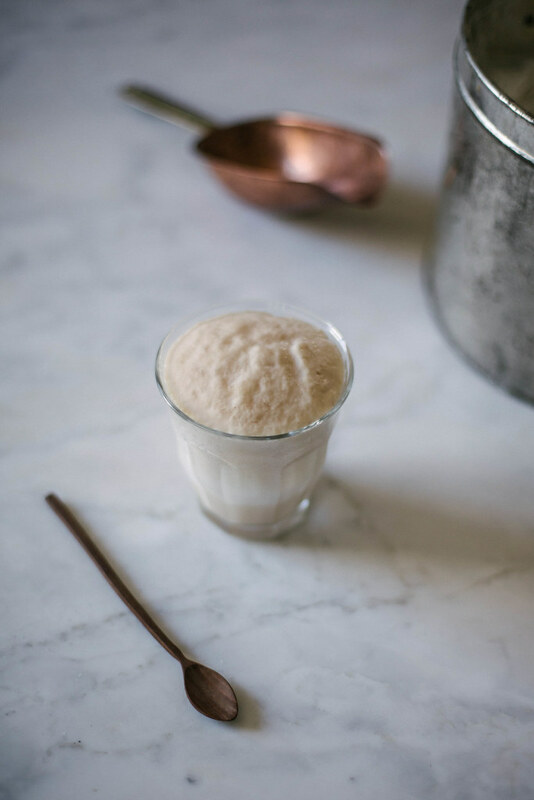 Dump the buttermilk yeast mixture into the flour, and using a wooden spoon stir to form a shaggy dough. When it's come together as much as you can get it turn it out onto a work surface dusted with the remaining 70 g flour. It will be a bit crumbly, no worries. 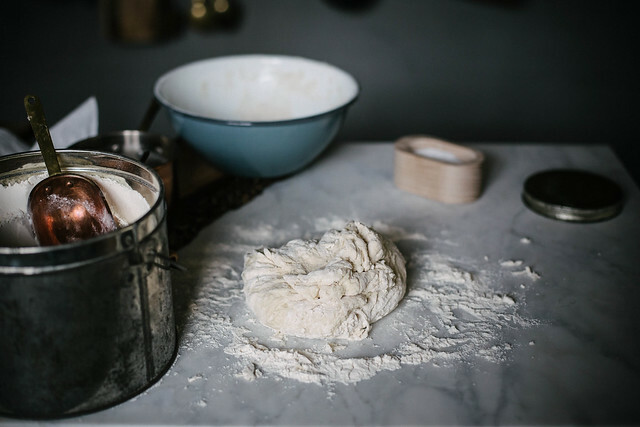 Knead the dough until it comes together and then continue kneading until it forms a smooth, elastic dough. I usually have about 3 tablespoons of flour left on my work surface; I don't work it all in. Just as much as is needed for a workable dough. Once you stick your finger in the dough and it bounces back, you're good. 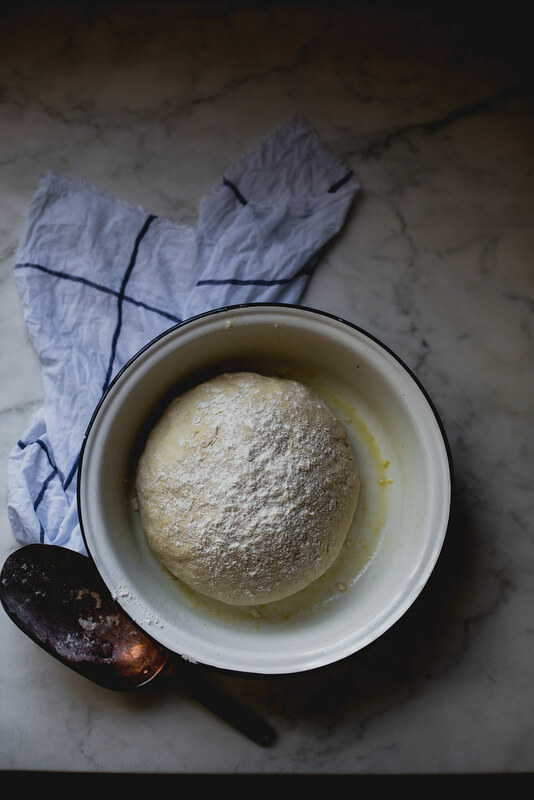 Form dough into ball and place in a clean, lightly oiled bowl (I just use olive oil). Sprinkle the top with flour and cover with a damp (not wet) towel (preferably one that won't deposit fuzzies onto your bread, i.e. no terry cloth, wet cats, etc.) Let the bread rise in a warm spot until doubled in bulk, about two hours. Punch the dough down, form in a loaf, place in an oiled loaf pan, cover with the towel again, and allow to rise another hour. Meanwhile, heat your oven to 375°F. When the second rise is complete, brush the top of your loaf with the egg, and then sprinkle it with a bit of kosher or other flaky salt. Bake in the middle of the oven for about 30-45 minutes until golden and hollow sounding when knocked on the bottom. A thermometer should read about 190°F when the bread is done. If the top seems to be getting too brown, cover with foil for the rest of the bake time. Allow to cool in the pan for about 5-10 minutes. Remove and allow to cool for 30 minutes to an hour before slicing. Orrrrr don't. I won't tell. But you're supposed to let it rest. Enjoy with plenty of fresh butter! Beautiful words. And a beautiful looking recipe. I don’t often bak bread for that very reason – I eat it all in one sitting! Wow, you can almost smell the sweet bread. I am going to try this. Beautiful! I´ll do it! it looks delicious! I invite you to baker my walnuts bread! You are an amazing writer and you take amazing photos, truly. I love your poem. I’m a chip-grabbing type of girl trying to become a bread baking type of girl. 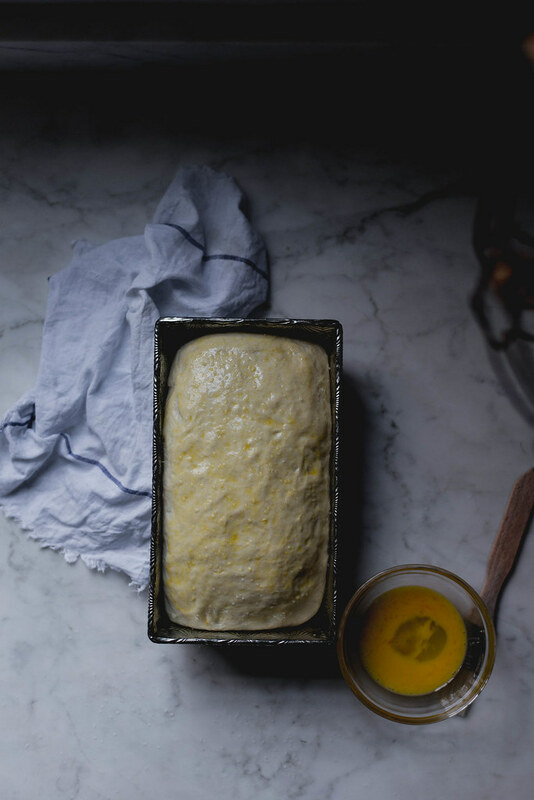 This recipe is going to be the first bread I attempt to bake so thank you for sharing. I can’t wait to try making this! I loved your no-time bread, and this looks just as good. 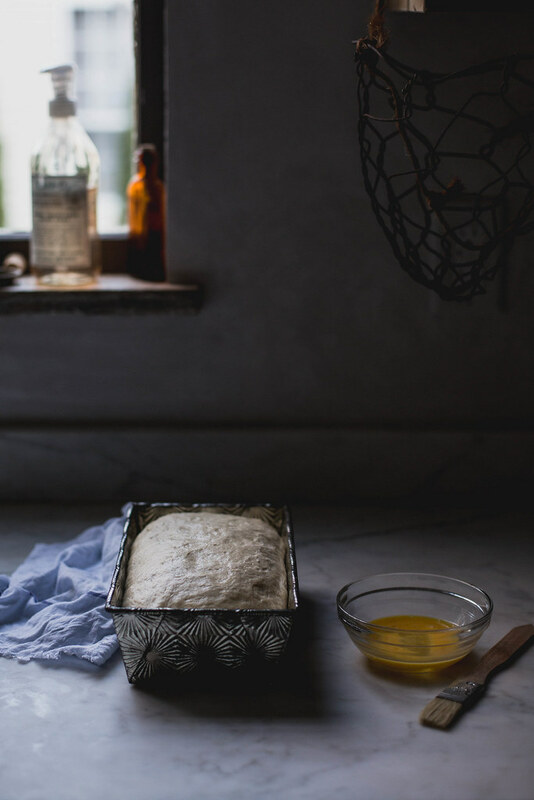 I caught your picture of bread on Pinterest ~ and happened to hop to your page this am. and loved the words. I felt like I was saying oh, someone who thinks like me! Anyways, can’t say i’ll hop to it soon, but good wholesome words. thanks for the smiles. hypothetically speaking, if i were able to restrain myself, how long would this loaf keep? also, the poem. it made me feel savage and raw. and incredibly sad. This bread truly looks perfect. So yummy! This bread sounds like everything carbohydrates aspire to be. And it looks like it comes together so easily. girl did you just name drop Rumpelstiltskin? tight. You say that the bread is done when you knock on the bottom of it and it sounds hollow…but how to do this if it is hot in the oven and still in the pan? You can lift it out with a tea towel and give it a knock. But I just use a thermometer or judge by the color of the top, which is a deep golden. Bread as therapy. I’m already getting the flour out. Beautiful, I love how the light illuminates the bread. Stunning work as always! 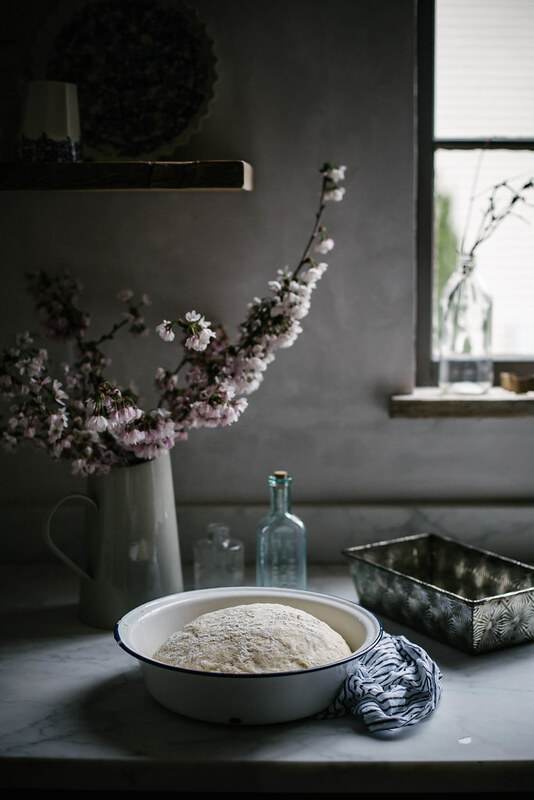 Fresh bread and your kitchen is what dreams are made of. Hoping you take home the prize Beth! That is one beautiful loaf of bread.. Buttermilk honey biscuits were a thing for me growing up, so this is bringing back memories. And you hands down have my vote… you’ve captured me completely, so I’m rooting for you and riding with you “virtually” on this journey. Looks absolutely luscious! The buttermilk makes brings me back to the south. Looks like a beautiful loaf! 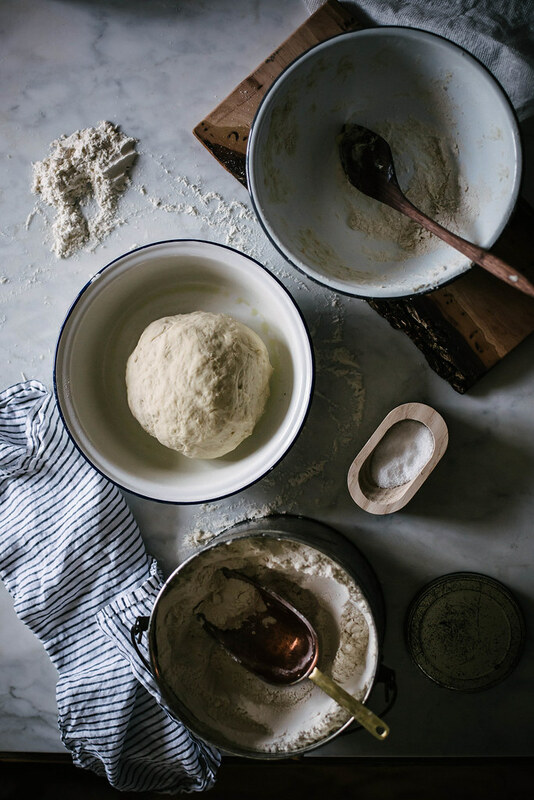 I applaud you for making bread as much as you do – it’s definitely an affair! Such a beautiful loaf of bread! And I am in love with that last image (ok, all of them). I could eat an absurd quantity of this. 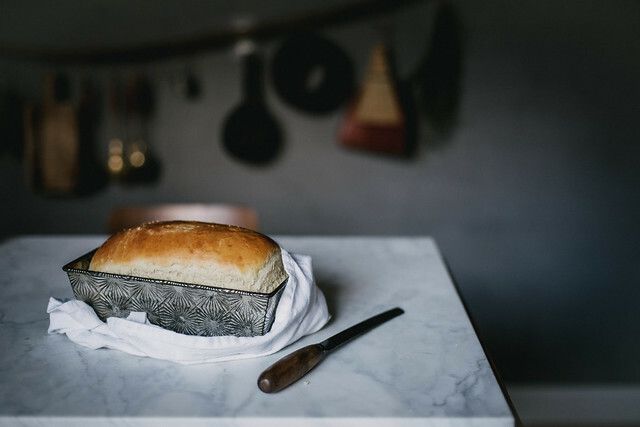 so lovely – I haven’t made fresh bread in the looongest time, but this has definitely given me a surge of motivation. you have a knack for writing beautiful recipes – they’re fun to read! Beautiful post as always Beth, my vote is in for you! Good luck & best wishes! This looks like the kind of loaf that I make ostensibly “for sandwiches”, then wind up shoveling thick slices into my mouth, still too-hot from the oven, covered with dripping butter and honey. In other words… dangerous bread. Good thing my middle name is danger. What an empowering post, Beth. Cheers to all of it: to being proud of ourselves, to homemade bread, to being growing trees. I made this yesterday! It was beautiful! I served it to my family with a simple baked chicken and asparagus! Soooooo good! In fact I caught my sweet daughter this morning scavenging the last bit;). Thanks for sharing! is it terrible that your poem reminds me of Game of Thrones? That being said, I love it. And your buttermilk honey bread is instigating kitchen smell memories of my childhood. Saw the bread on Instagram and decided to try it out this afternoon. It is delicious! I got nervous when it looked like the top was browning too quickly- I ended up under baking it slightly. The top softened as the bread cooled. Silly me, I’m planning to make a second loaf on Sunday for out of town guests. Thank you for sharing! Oh, how beautiful! I love your poem! I usually bake bread but don’t write poems. for one reason. I’m horrible at it! The bread looks gorgeous! This bread is just beautiful. I just baked some bread today and I have to say, if I had more time, I’d bake a loaf every single day. It’s an almost zen like process and the house smells so amazing as it bakes. Your images are gorgeous and so serene and I loved your poem. This looks amazing. Where did you get that beautiful loaf pan? It’s a vintage ovenex pan I found at the flea, but you can definitely find one online! 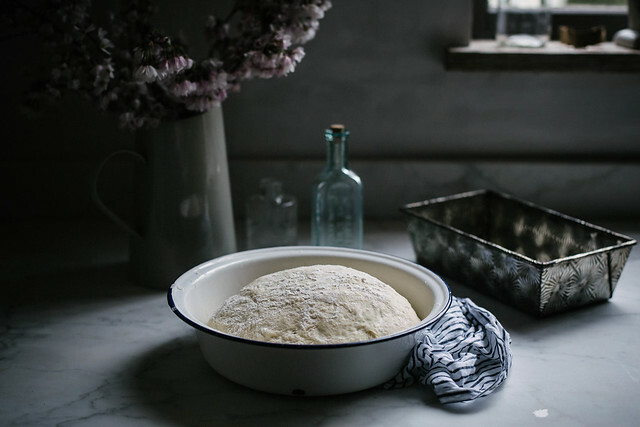 Such amazing photos – now I want to go and bake bread! I love your site! It is so inspirational to a part-time food blogger like myself. Your pictures and lighting really bring out the full effect of the scene, and I would be honored if you checked out my blog sometime! This is beautiful. I love homemade bread, especially with a spread of good butter with a touch of salt, heaven. Congrats on winning best food photography blog at Saveur! How exciting – happy for you! Absolutely lovely! I’ve only recently discovered your blog, and it is definitely on my list of regular reads! Not only you write poems, you also create poetry with your pictures. There´s something about them that makes me wanna drown into them, so touching, beautiful and melancholic. I´m new to your site, clicked my way through it, and I´m so impressed and mesmerized. It´s absolutely amazing! i made this and it was awesome. thanks for the super recipe! I have wanted to try and make bread from awhile and I think this might be the recipe! A bread with honey…yes please! Beautiful photography as always. So lovely. i can’t even talk about how hungry i am right now! That bread sounds like heaven. Congratulations on the Saveur award. this is just what I needed to hear today. Feeling inadequate in every way–hearing people say “do you know anyone who can..?” instead of thinking of me. Thanks for your words. And bread–so healing. Your photography is absolutely amazing. I’m in love! Oh, and homemade bread rules too. 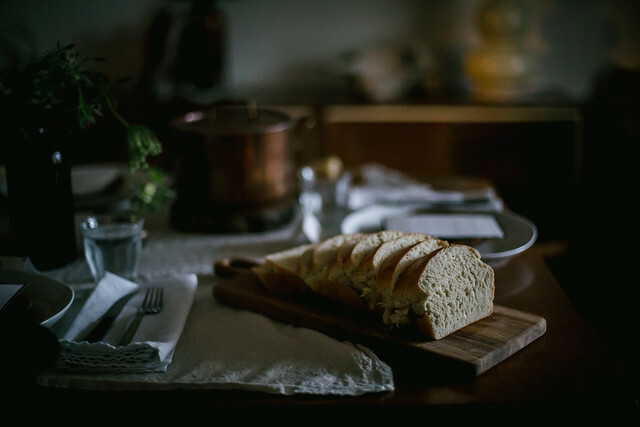 Love your blog and your bread looks absolutely yummy! P.S love your bread pan as well, can i ask you where did you get it? 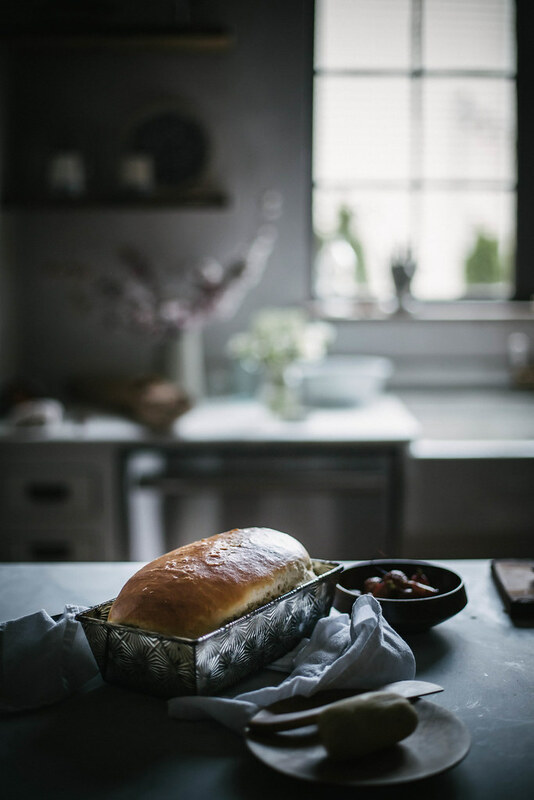 this is the most beautiful and delicious loaf of bread I’ve ever baked – thank you for the beautiful recipe & words! I am so taken with your enamelware collection! Where did you get that light blue enamelware mixing bowl? Beautiful and delicious, as always. the bread just came out of the oven… do i really have to let it rest?!?!?! smells so divine!!! This looks divine. I can smell the cooked dough emanating from the lap-top screen. And your words are blended as expertly as the ingredients of the bread in the lovely photos. Thanks heaps. This is the best bread recipe I’ve ever tried! The density and the texture of the final product is perfection. I added some herb de provence for a kick. I’m so happy to have found you via thinkliz.com. I need more pictures of your amazing home. It’s what I dream of. Can I perch on your window seat and soak it all in? Your poem is delightful, and the bread looks delicious. This is my first recipe that I have ever tried from your blog. This bread is simply divine! I love making bread I have made bread from Artisan Bread in 5 min, Peter Reinheart’s books, I have taken bread classes from a Mennonite woman in Michigan, but this is simply my favorite! I appreciate the time taken to do this. I like this recipe. My first attempt at real homemade bread was a hit! Thank you! Hi Beth. Its late. About 2:30 am. I have a broken heart but I’m healing. I baked your beautiful bread tonight. (Started late). So delicious and also simple to make and the smell of bread baking is a reward in itself . A reminder of how good life can be. have you ever tried baking this with whole wheat flour? looks beautiful and cant wait to go to kitchen and make it. Oh that looks delicious. You’re my favourite food blog. I’ve gotta ask, what bread knife is that? I’m in the market for a new one and it’s pretty. I made this bread once, and since that day it first came out of the oven, it has become my family’s most beloved and most wished for bread. I make it every week and we all love it . Thank you for this beautiful recipe. We all hope you will share more bread recipes in the future. Hi there! Love your photos! Have made this bread twice before and this time want to try rolls. Do you know how many I would roll? Thanks! This bread is absolutely delicious! Thank you so much for this recipe. It will fast become a family staple, I am sure. Beautifully photographed as well. Have this in the oven proofing right now, it looks incredible! Thanks for this recipe. I made this bread tonight the smell of it baking was so delightful and the taste even better. This bread is packed with moisture and rich flavor. Thank you! have made this as a loaf and loved it but want to try rolls — do i need to adjust the baking time at all? thank you! Question-what size pan? Can it be two small loaves? It is impossible to get buttermilk here in Madrid (Spain) There is something you can recommend me as a substitute? I made this today and it is already half gone… it is so soft and amazing with just butter. Wow!!! Can i use whole wheat flour instead of all purpose to make this bread? I haven’t tested it with that, but yes. You might need to increase the liquid. I would google substiting whole wheat for white flour. The flavor will not be the same, but that’s to be expected. I also want to add that olive oil works best for oiling all pans/storage bowls for bread dough and sour dough. 8 hours a day, 5 days a week for a month I did bread and nothing else…plus I was 4 months pregnant at that time! Hello, this is one of my favorite bread recipes to make, but I can’t seem to see the recipe anymore, just the text leading up to the recipe. Did the recipe get deleted? If so, could you please send me a copy? I would love to have the recipe again! Thank you so much! We were having glitches due to a new site launch…it should be there now! Hooray! It’s up! Thank you so so so much. I am a newbie to your blog and read through your recipes last night. I made this delicious bread this morning and I’m in love! Thank you so much for sharing it.